“Traditional” (aka “legacy”) publishing is a relatively recent term to describe the powerful, primarily New York-based publishers that are still the object of most new writers’ aspirations. The term is used today in opposition to “self-“ or “direct” publishing, which is what happens when a book is published without the intervention of the companies that have served as literary and commercial gatekeepers for decades. Twenty years ago, there were three dozen independent “major publishers,” which meant an author’s representative like myself could submit a writer’s work to any or all of them. Should more than one or two be interested, you would start a bidding war that could be very lucrative for the author. Today, though a few companies like Grove-Atlantic and W. W. Norton manage to survive independently, most of those three dozen majors are owned by the Big Five trade book publishers. They were known as the “Big Six” until Random House merged with Penguin in 2013. News Corporation, owned by Australian-born Rupert Murdoch, includes Avon Books, Broadside Books, Ecco Books, HarperCollins, Harper Business, Harper Perennial, Newmarket Press, and William Morrow, among others. Hachette Book Group (HBG), which is in turn part of the French conglomerate Lagardère. HBG is home to Center Street, Faith Words, Forever, Grand Central, Little, Brown, and Orbit, among others. Holtzbrinck, the German multinational, owns Farrar, Straus and Giroux; Henry Holt; Macmillan; Picador; St. Martin’s Press; and Tor/Forge—along with many others. Penguin Random House, itself owned by another German company, Bertelsmann, owns hundreds of imprints and formerly independent publishing houses like Ballantine, Berkley, Broadway, Crown, Dutton, Knopf, Penguin, Putnam, and Random House, to name only a few. CBS Corporation (formerly Viacom) owns Simon & Schuster, as well as sister companies Atria, Free Press, Gallery Books, Pocket Books, Scribner, Threshold, and Touchstone, as well as the Folger Shakespeare Library. This massive consolidation means that publishers no longer make decisions the way they used to. In the old days, less than 10 years ago, most major publishers were driven by highly literary, visionary editors who made gut decisions to give starts to new voices who are “name writers” today—Stephen King, Anne Rice, Michael Crichton, Joyce Carol Oates, Kurt Vonnegut Jr., etc. Back then, the author’s representative submitted a manuscript to editors, usually simultaneously to more than one (and as many as 20). If an editor fell in love with the book, they fought to acquire it by pitching it to a board made up of other editors. If the board approved (meaning that one or two other editors read the manuscript, too, and also liked it), they authorized an offer to the author’s rep. If several editors from the different houses responded with an offer, you had yourself an auction—and potentially quite a payday for the author. After they acquired the book, a publishing house worked with its marketing department to make it visible, helping to build an author’s career and providing them with a literary “home,” hopefully for years to come. Of course, the editors are still there today—but whether they admit it or not, they’re now more or less under the thumb of the marketing department. They must present P&Ls (“profit and loss statements”) to the acquisitions committee, which is dominated by marketing people, before a book can be taken on, no matter how wonderful they think it is. Our new author must already have a national track record and “platform” (network of likely buyers within proven reach). Otherwise, his or her book has little chance with the marketing folks whose focus is not on the future of reading but on this year’s bottom line. What makes it worse is the ever-expanding use of Nielsen BookScan, which tracks actual point-of-sale transactions using bar codes. It’s hard to fudge how many copies of the author’s previous book sold when faced with hard mechanical evidence of actual sales. And a lack of sales means no new book deals. Sure, once in a while an outstanding manuscript can slip by the marketing department if the editor is courageous enough to bet his or her job on the book. One or two misses a year may be allowed, but if an editor has too many books that don’t “earn out,” or make back what was paid to produce them, including the advance, he or she is in serious jeopardy. Because of the massive consolidation of imprints under the Big Five, auctions are increasingly rare for new authors—unless you happen to be a nationally or internationally known politician, celebrity, or Nobel Prize laureate. Those folk have platforms—existing admirers who might very well buy their books. Authors’ reps spend more and more time and effort on helping their clients develop a platform, and focus on making a strong marketing presentation to increase the likelihood of their books selling more than enough copies to break even. Given this situation, what’s an upcoming platform-weak writer to do? More and more, writers are turning to direct publishing. As an author’s representative for 25 years, I was so disturbed by the increasing difficulty of getting new authors accepted in New York that, four years ago, I started my own imprint for voices that I believed demanded an audience. That way, as a producer, I had good books in hand to take to Hollywood agents, fellow producers, studios, broadcasters, and financers. I make sure that our books look every bit as good as “traditional” books. Take that as a warning to proceed to direct publishing with care, lest you put a book into the market that doesn’t look like a good book, that isn’t edited like a good book, and that isn’t marketed like a good book. Yet when all is said and done, it’s an exciting new frontier for authors. 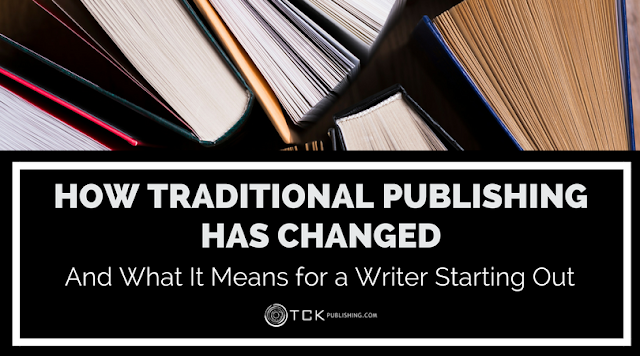 You don’t have to let your fate be determined by traditional publishers. If you direct publish your book and promote it well, guess what? The traditional publishers will come a’ knockin’. Story Merchant Ken Atchity is a Yale PhD writer, literary manager, and producer who’s written more than 20 books, sold hundreds of clients’ books to major publishers, and produced more than 30 films for television and cinema. His most recent book, Sell Your Story to Hollywood: Writer’s Pocket Guide to the Business of Show Business, just appeared from his imprint Story Merchant Books. He’s also partnered with Daniel Hall to produce an in-depth webinar on the subject, Real Fast Hollywood Deal. He can be reached at atchity@storymerchant.com. Story Merchant Books Amazon eBook Deals!